Pipes & pipe fittings have become paramount for various industrial applications like plumbing and commercial connection making. The use of pipe fittings makes pipe to be installed accurately in an appropriate place. As per requirement, the pipes can be easily closed or terminated by using pipe fittings. There are thousands of pipe fittings available in the market that are made of different materials – metal alloy or plastic, yet share some common features. Pipe fittings are basically available in two specifications – male or female; these are employed as per requirement. Wherein, metal pipe fittings have Threaded Fittings and plastic pipes have Slip Fittings. The threads fittings are marked inside in case of female fittings and outside on male fittings. 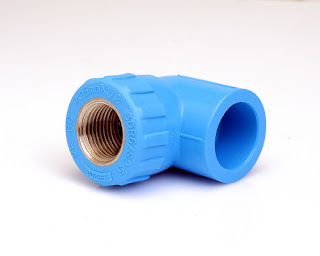 Also, there are pipe fittings having one female and male connection on different ends – they are called Street Fittings. Male Threaded – These fittings have threads on exterior side. They are generally screwed into the inside the pie end, which have large diameter with internal threading. Female Threaded – These fittings have threads on interior side and are use to receive male threaded fittings. Male Slip Fit – These fittings do not have threads and are used to receive a narrower female slip fittings. Female Slip Fit – These fittings also have no threads and are made to slip into slightly larger male slip fittings. Utilize for transporting industrial fluids like hydraulic or pneumatic systems. Changing the direction of flow of industrial fluids. Connecting pipe sections with each other. Closing and sealing a pipe. Connecting pipes with different components. Pipes & Pipe fittings go hand-in-hand. Various size, shapes, materials and standards are nowadays. The rapid development in the field of industrial fittings has given rise to a new design and products that prove to be very useful. Given the fact, these fittings need to be bought in best standards for hassle free operation and life long applications. So it is important to buy pipe fittings from a well established pipe fittings manufacturer.